I once wrote an ode to bread because it is absolutely delicious when baked right (but then again I guess you can say that for everything...). 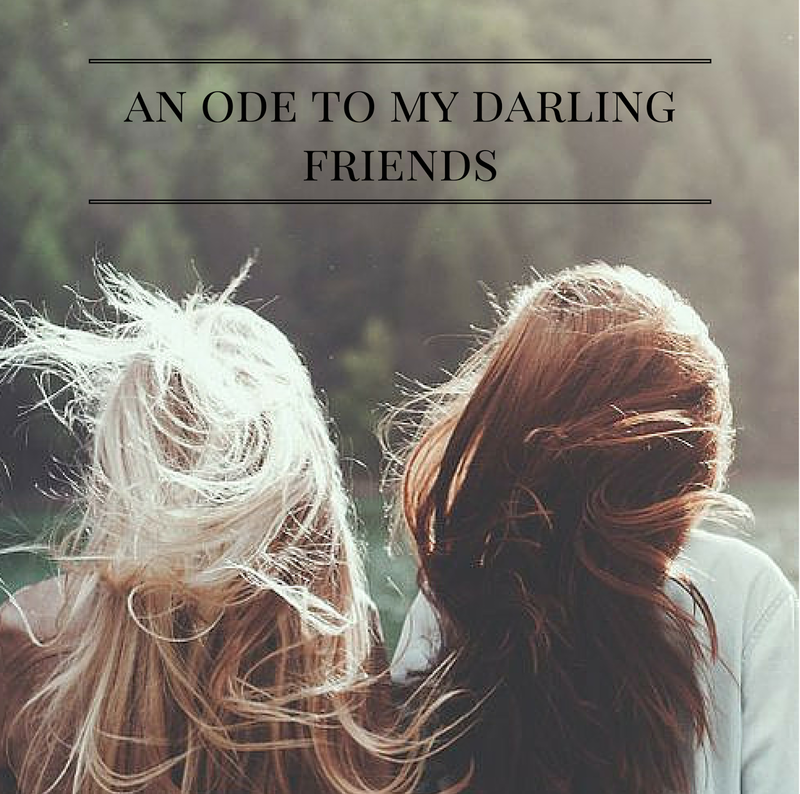 Today I want to share an ode to my friends who are truly amazing people who add incredible value to my life. Where would I be without you? Probably by myself in my room reading a book. As you know I do love that activity, yet it's because of you that I get myself up and out. We go to events together and have a running commentary on every aspect. How was the performance, the execution of the activities, the quality of the food? You and I have an opinion on everything and we are never hesitant to share it. Constant laughter and inside jokes are what we live for. When I am feeling down you know to hug me, listen to me for a minute or two, and then whip out a joke. Before I know it we are looking up what the least populated state is or debating the merits of Abraham Lincoln. You get me and I get you and we are so lucky that we met each other. Above all else, you are someone I admire. You know so much more than I do, so I am always learning from you. You push me to expand my mind and views, and for that I am grateful. Your dedication to your passions, your work ethic, your kindness, your willingness to help all contribute to making you a person who challenges me and motivates me to do better. Our healthy competition is seen in our joint success. Basically what I'm saying is we're awesome! Do you feel the same about your friends? What would you say to them in your own ode? Love this, I myself got super sentimental reading this!